Pammvi is the sole distributor, seller, agent, supplier for German Manufacturer Steinel Brand Hot Melt Adhesives. Besides being manufactured from high-grade raw materials and latest technology at vendor’s end, the offered range is inspected properly by expert professionals. Owing to features like durability and sturdiness, the offered glue sticks are exceptionally valued by our precious clients. The entire range of Bookbinding Hot Melt Glue is available with us in a multitude of sizes, designs and other related specifications at affordable price. For invisible bonds. 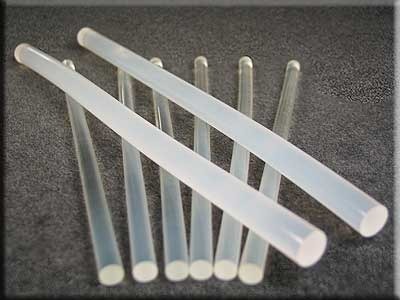 7 mm Crystal Sticks, for neo1 and neo2, 150 mm x 7 mm, 240 g, clear craft glue for invisible bonds.